Warner Ottley was born in Putney in 1922, the son of Warner Herbert Taylor Ottley and his wife Hilda, née Edwards. Although given his father’s first name, he was always known by the nickname of Bill. His father was a civil servant, working in the War Office, and had been awarded the French Legion d’Honneur for his work with that country during the First World War. Ottley was educated at Hurstpierpoint College, and was still at school when the war broke out. He joined the RAF in 1941, and was selected for pilot training. He went to Canada for training, qualified as a pilot in August 1941 and returned to the UK three months later. After further training he was sent to his first operational squadron, 50 Squadron, in June 1942, but then immediately reposted to 83 Squadron, then based at Scampton. Between 29 July and 6 August 1942 he flew on four operations as second pilot/flight engineer in 83 Squadron with Flt Sgt L T Jackson as pilot. These were to Saarbrucken, Dusseldorf, Gironde (mining) and Duisburg. Bill Ottley was then transferred to 207 Squadron and flew on several more operations before being transferred to the squadron’s conversion flight. There he was teamed up with the bulk of the men who would make up his Dams Raid crew: Ronald Marsden, flight engineer; Thomas Johnston, bomb aimer; Jack Guterman, wireless operator; Fred Tees, air gunner; and Jack Barrett, navigator. The crew transferred back to the main squadron and undertook their first operation together on a “Gardening” (minelaying) trip to Biarritz on 23 November 1942. The mid upper gunner on this operation was Sgt Walker. 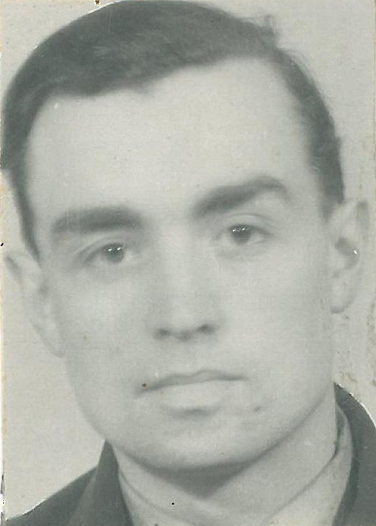 On the same day, the final member of Ottley’s Dams Raid crew, Harry Strange, flew as mid upper gunner on a bombing operation to Quakenbruck with Sgt G Langdon as pilot. Ottley went on to fly on 20 further operations with this crew between December 1942 and April 1943, although there were the occasional minor changes in personnel. Wireless operator Jack Guterman reached the end of his tour on 8 March 1943 and so the last three operations for the crew each had a different person filling this role. The crew’s final operation in 207 Squadron was on 4 April 1943, with a trip to bomb Kiel. Ottley and his Dams Raid crew were then transferred to 617 Squadron, one of the last crews to arrive. As he didn’t at this point have a regular wireless operator, the tour-expired Guterman must have volunteered to go along with them. Ottley had been commissioned and then recommended for a DFC by this point, although the decoration wouldn’t be confirmed until after the Dams Raid, and was backdated to 16 May 1943. The Ottley crew undertook their first training flight in the new squadron on 8 April 1943. About five weeks later, they were designated to be the first crew in Operation Chastise’s Wave Three, the mobile reserve. Their duty was to be in the air over Germany after the earlier two waves had done their work, and then be diverted by 5 Group headquarters to attack whatever targt it deemed necessary. Ottley led off the wave, and AJ-C was airborne at 0009 on Monday 17 May. It crossed the Dutch coast at about 0130 and proceeded on the same route taken earlier by the First Wave towards Ahlen. At 0231, Group sent the code word “Gilbert” to AJ-C, and the signal was acknowledged. This meant proceed to the Lister Dam. A minute later a change of plan occurred, and the code word “Dinghy” was sent, instructing AJ-C: “Eder destroyed, attack Sorpe”. The second signal was not acknowledged, indicating that AJ-C had met its fate at about 0231. Ken Brown, flying AJ-F a few minutes behind, reported seeing him hit the ground at 0235. He recalled later: “Ottley, on my right, was hit and pulled up, his tanks exploded then his bomb – the whole valley was lit up in a bright orange.” Bill Townsend and Lance Howard in AJ-O also saw AJ-C’s final demise. … Tees heard the wireless operator say over the intercom “Möhne gone,” and almost immediately Ottley began “We go to…,” when “a hell of a commotion” occurred to interrupt him. The aircraft was suddenly bathed in searchlight and a tremendous barrage of flak struck it, mainky from the port side. … Distinctly he heard Ottley say, “I’m sorry boys we’ve had it,” and thereafter Tees’ memory of events became blank. AJ-C hit the ground at Heessen, five miles north-east of Hamm, which suggests that it was probably hit by flak west of Hamm itself. Tees’ turret was blown clear of the rest of the aircraft and he regained consciousness on the ground, very badly burnt, and spent the remainder of the war as a prisoner. Bill Ottley and the rest of the crew died instantly. They were originally buried in by the Germans in Hamm, but were reinterred after the war in Reichswald Forest War Cemetery. Bill’s father, Warner Ottley, worked in the War Office throughout the Second World War, and received the award of a CB in the New Year’s Honours List in 1945. He died in 1980. Thanks to Alan Wells for help with this article. I’m a great-neice of Warner (Bill) Otley ; that account corresponds closely to the version told to the family at the end of the war, thank you! Frederick ‘Freddie’ or ‘Fred’ Tees (1922-1982) the rear gunner, who had survived by extraordinary luck, killed himself some months after returning to Hamm in 1981, following research by the Dambusters Research Association which revealed the site of the crash. I have quoted information from a local newspaper and registration records; there is also a Wikipedia entry for Tees but I have not verified its content.